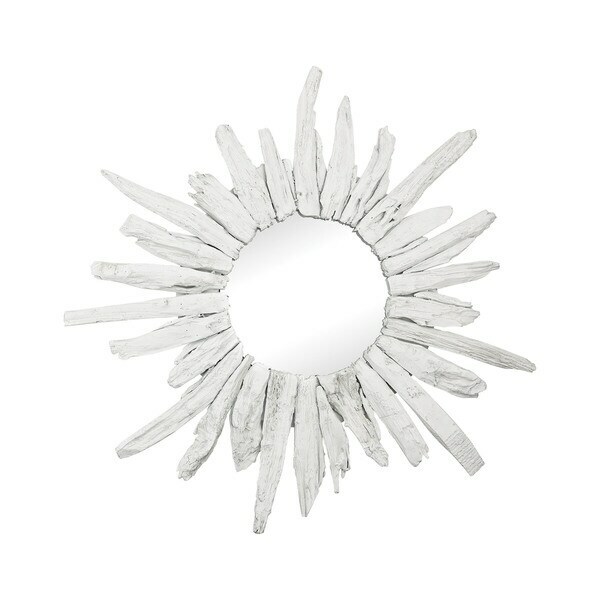 Dimond Home brings you this stunning Chinook Wall Mirror that will beautify your home. Made of wood and mirror, this wall mirror has an eye-catching white frame that will enhance your interior decor. This decorative mirror will not only add style to your home, but it will make your room look bigger. Dimensions 2.0 In. X 35.0 In. X 35.0 In. "What size is the mirror?"